Welcome New Staff Members Bennett & Linda! We are excited to welcome two new members to our staff! Bennett Kottler, Project Manager, grew up in the Bronx, New York. Bennett earned a bachelor's degree in biology with a concentration in marine science from Boston University, and a master's degree and a doctorate, both in environmental toxicology from Cornell University for his research on microbial ecology and the fate of organic pollutants in soil, respectively. 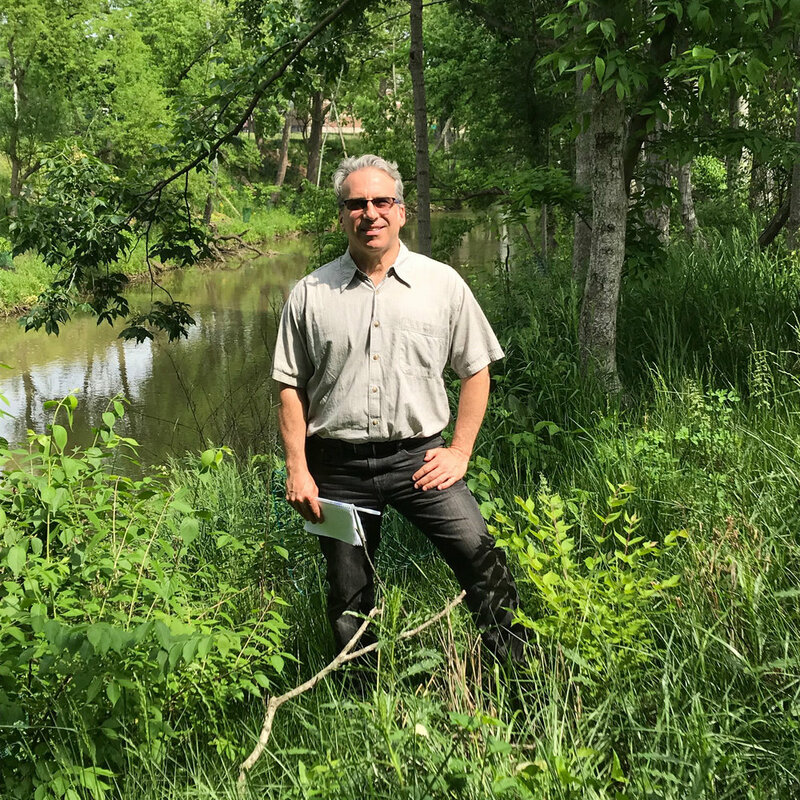 Most recently he was a Project Manager for CBRE conducting environmental site assessments for real-estate transactions throughout the Midwest. Before his wife accepted a professorship at UC, Bennett lived in New Orleans for a year. Previously Bennett lived in Reno, Nevada for 10 years enjoying the Sierra Nevadas and working at the Nevada Division of Environmental Protection (NDEP) as supervisor of Air Quality Planning and the State of Nevada Petroleum Fund. At the NDEP he also gave oversight on remediation cases ranging from residential heating oil tanks to a 1,600-acre site used to test engines for the Gemini, Apollo, and Space Shuttle programs. During this time Bennett became a licensed PE in Environmental Engineering. For four years previously, Bennett taught environmental science, policy, and education at the University of Nevada Reno and Southern Connecticut State University. Bennett spent four years teaching science in New York City to students ranging in age from 6 to 76. Bennett loves all things food and music, and regularly plays banjo and guitar with the Hot Magnolias—a Cincinnati-based New Orleans-style party band. He lives in Oakley with his wife, daughter, and three cats. Linda Keller, Office Manager, comes to us with a diverse range of skills, valuable experience, and a strong commitment to community and non-profit work. Linda is a positive and optimistic person with experience connecting residents and designing educational programs. Linda has a background working as an educator, program coordinator, and adult technology instructor as well as wearing many hats as an office manager. She has worked in previous roles at the Children’s Home, The Women’s Connection, Elder High School, and BANDI Wear. Linda also served in the Peace Corps where she built a strong foundation in working toward solutions. Linda received her BFA in Drawing and Ceramic Sculpture from the prestigious college of Design, Architecture, Art & Planning at the University of Cincinnati, and an M.Ed from UC’s college of Education. Linda lives in College Hill , and we are thrilled to have her on our team!